Are you also one among the millions of Android users? If yes, then you have made a smart move in choosing an Android device. Android – A revolutionary product from Google, is now dominating the mobile OS market. It's one of the most widely accepted operating systems and also one of the hotspots for attackers due to hundreds of Android users cropping up every now and then. Being an Android user, you would have come across the term 'Rooting an Android Phone or Tablet devices', while optimizing your Android Phone. But, what exactly is rooting? Warranty: Some smartphone manufacturers assert that rooting your Android device voids your smartphone’s warranty. However, there’s going to be no damage to your device’s hardware. Do remember, you also have ‘Unroot’ options available. Security: If you are using Google Wallet, in particular, then you will have to consider rooting your device. Google Wallet has vulnerability on rooted Android devices and there are chances for other applications to access your wallet information. Backup Plan: What if you are not successful in rooting your Android device? So, it’s always better to have a backup. And, you should also know how to recover the backup, in case something goes wrong. Bricking: Bricking refers to breaking your Android device. Although rooting is a safe process, there are some chances of “bricking” your device, if you don’t follow the parameters like if you try to root your device with a tool that’s not compatible. 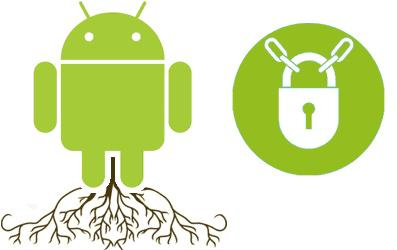 BootLooping: While rooting, there are possibilities for your Android device to boot and reboot endlessly, if you don’t follow instructions properly. How to Root an Android Phone or Tablet devices with SuperOneClick Rooting Tool? Start by downloading and installing the SDK and JDK that corresponds to the operating system and the specs of your personal computer. Check if you have enabled the USB debugging option on your Android device. Usually, the option is disabled on your device. Connect your Android device to your PC. Once you connect, you will have to select the SuperOneClick file and click on the Root Button. The rest will be done by SuperOneClick automatically. Once the process is completed, you will have the notification popping out. And that’s it, you’re rooted! That’s not all, there are many more benefits of rooting that can be enjoyed. Try rooting your device and you will certainly enjoy a lot from the world of Android.